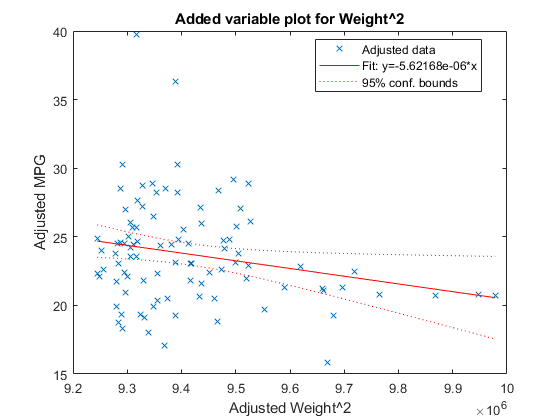 Use fitlm to construct a least-squares fit of a model to the data. This method is best when you are reasonably certain of the model’s form, and mainly need to find its parameters. 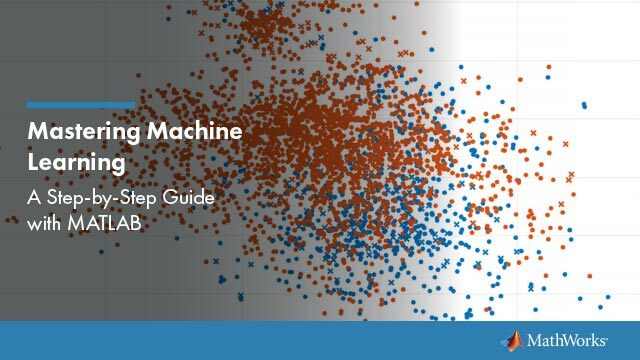 This method is also useful when you want to explore a few models. 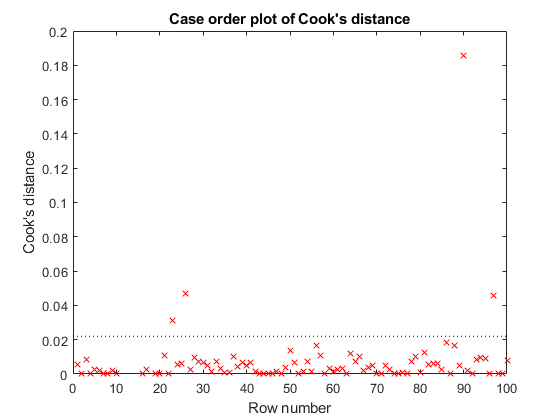 The method requires you to examine the data manually to discard outliers, though there are techniques to help (see Examine Quality and Adjust Fitted Model). You cannot use robust options along with stepwise fitting. 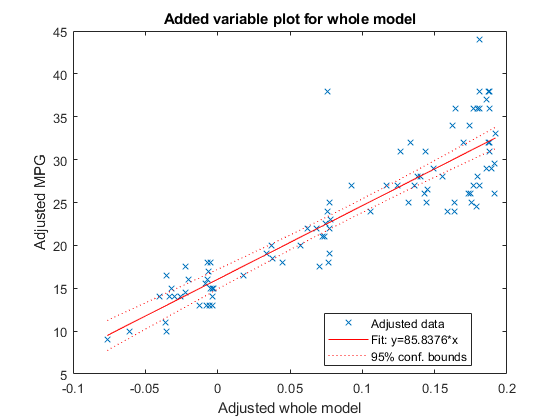 So after a stepwise fit, examine your model for outliers (see Examine Quality and Adjust Fitted Model). 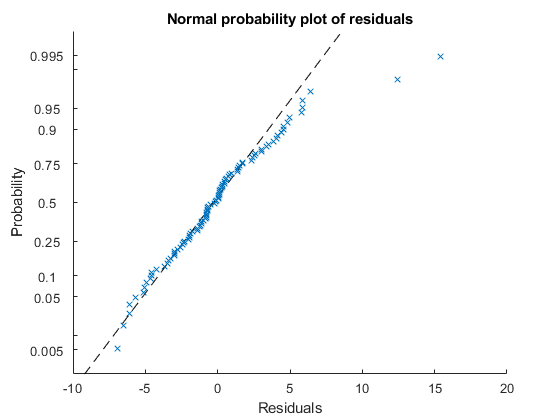 The reported pValue (which are derived from the t statistics (tStat) under the assumption of normal errors) for predictors 1, 3, and 5 are extremely small. These are the three predictors that were used to create the response data y. This table gives somewhat different results than the model display. 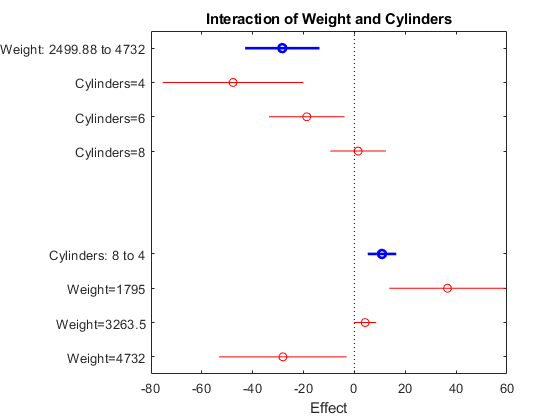 The table clearly shows that the effects of x2 and x4 are not significant. Depending on your goals, consider removing x2 and x4 from the model. If you created a model using stepwiselm, then step can have an effect only if you give different upper or lower models. step does not work when you fit a model using RobustOpts. A LinearModel object offers three functions to predict or simulate the response to new data: predict, feval, and random. 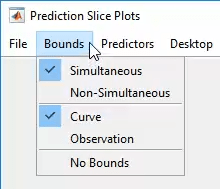 Use the predict function to predict and obtain confidence intervals on the predictions. 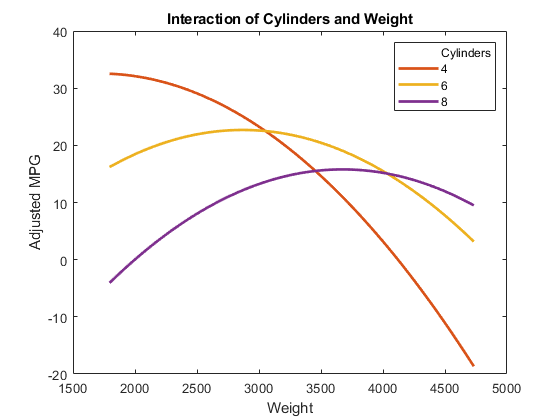 Load the carbig data and create a default linear model of the response MPG to the Acceleration, Displacement, Horsepower, and Weight predictors. 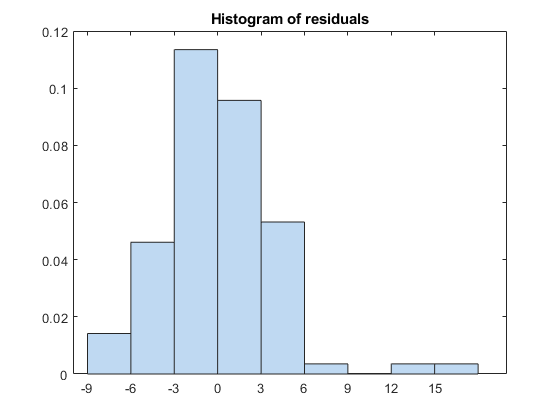 Create a three-row array of predictors from the minimal, mean, and maximal values. X contains some NaN values, so use functions that ignore NaN values. The confidence bound on the mean response is narrower than those for the minimum or maximum responses. Use the feval function to predict responses. 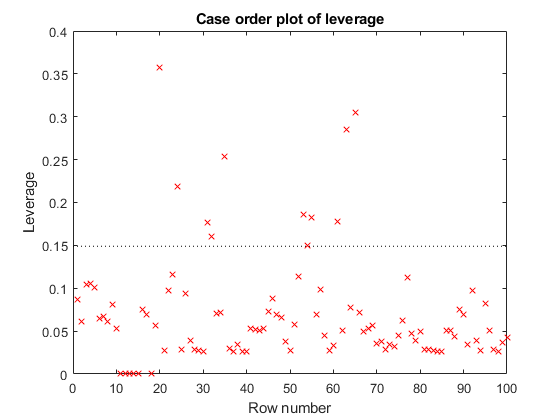 When you create a model from a table or dataset array, feval is often more convenient than predict for predicting responses. When you have new predictor data, you can pass it to feval without creating a table or matrix. However, feval does not provide confidence bounds. Load the carbig data set and create a default linear model of the response MPG to the predictors Acceleration, Displacement, Horsepower, and Weight. 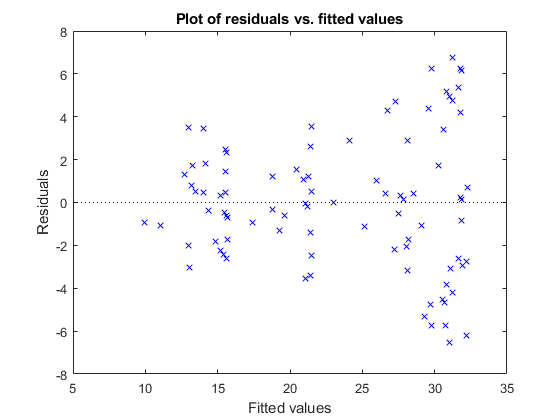 Predict the model response for the mean values of the predictors. 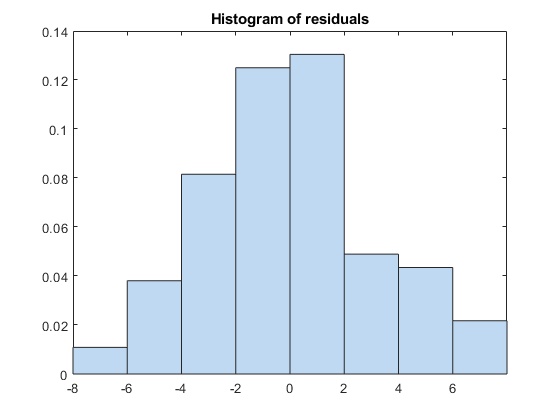 Use the random function to simulate responses. 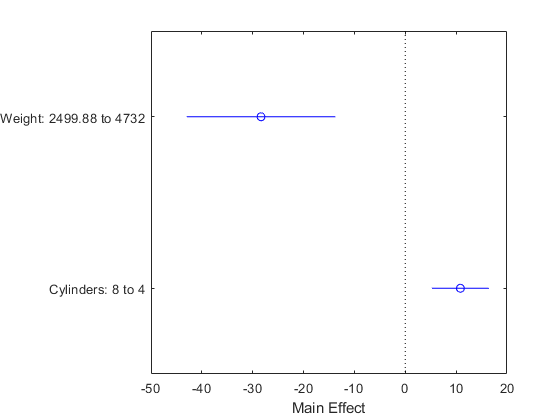 The random function simulates new random response values, equal to the mean prediction plus a random disturbance with the same variance as the training data. 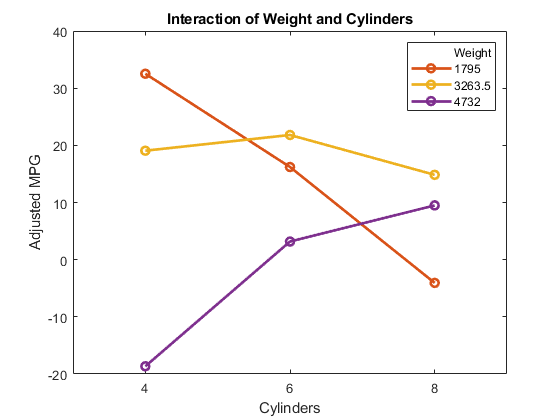 Create a three-row array of predictors from the minimal, mean, and maximal values. 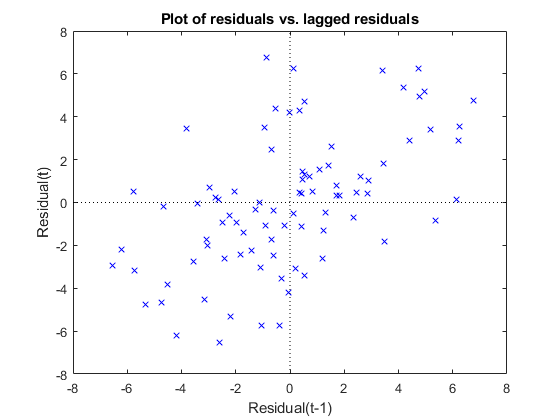 Suppose you have a linear regression model, such as mdl from the following commands. Provide the model definition and coefficients.